Yep, this is the Brooklyn Bridge…in New York, and this is where James and I are going to be living in about 2 months time! I’ve been sitting on this news for a while (although most of you probably know about it already! ), but we’ve only recently started making concrete plans. We entered the Green Card lottery back in September 2011 and found out in mid 2012 that I had won (which means we both get Green Cards). Since then it’s been a crazy succession of paperwork, medicals, interviews, fingerprint checks and all sorts of other crazy stuff…until finally we got our visas! For now, though, we’re probably most excited about the holiday we’re taking on the way there – three nights in Honolulu, four in LA, and one each in Palm Springs and Las Vegas – I can’t wait! Neither of us has ever been to any of these places before (unless you count one night in LA when I was 13) and have heard such great things, especially about LA. Plus although we’ve both been to New York quite a few times, we’ve never been in summer so we’re excited to experience the city in summertime mode. So all this means I only have a few weeks left in Canberra! It is so pretty here at the moment, with all the autumn colours, and I’m enjoying my work at the nursery so much that I feel a twinge of sadness about leaving so soon…but then I am of course excited about the new adventures that await, and in the mean time six weeks back in Perth to spend with family and friends – hooray! 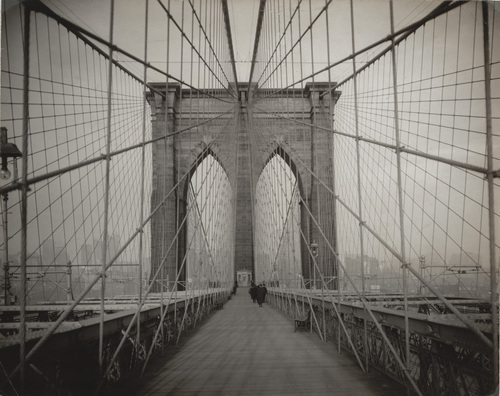 This photo is from the Picturing New York exhibition, on at the Art Gallery of Western Australia until May 12th. I will definitely be checking it out when I’m back in Perth! 17 Apr	This entry was published on April 17, 2013 at 10:40 am. It’s filed under inspire and tagged new york, travel, work. Bookmark the permalink. Follow any comments here with the RSS feed for this post.